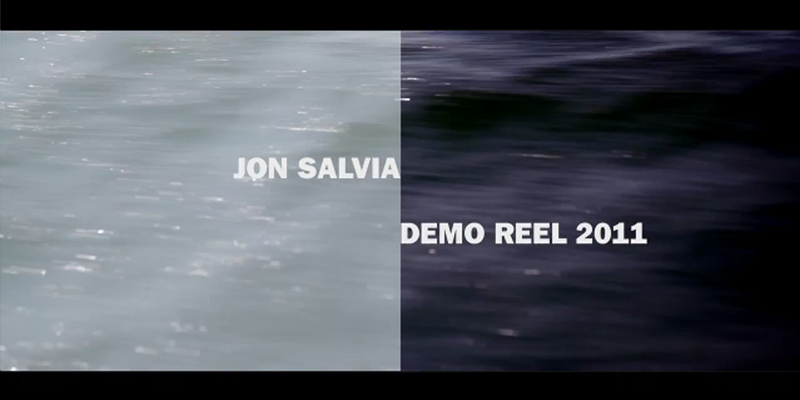 With 5 years of experience in production and post, Jonathan Salvia brings a high level of creative storytelling and experience to every project. He owns and operates RED Scarlet and Canon 5D Mark II rigs. He has worked on many productions including public television series, online documentaries, and short and feature films. Salviascope, LLC specializes in 3D and 2D digital cinema productions. We offer closed loop end to end production services (pre to post). We are located in Los Angeles and available for productions large and small. We offer RED Scarlet DSMC cameras & Canon 5D DSLRs for rental with D.I.T./data management/camera support. Music- attending concerts, discovering new music, and sharing it with friends and the world. TSCtv is home to cruising sailing documentaries, sailing tips, and original productions like Sailing Channel Theater. TSCtv utilizes the new and ever evolving model of Internet video distribution to deliver niche programming to a highly targeted cruising sailing audience. Produced, shot, sound mixed, and assistant edited series Sailing Channel Theater & Distant Shores for broadcast and broadband on WLIW21 NY Public Television. Marketed promotional and press material for The Sailing Channel- the online destination for cruising sailing streaming video. As web master increased daily pageviews by 70% and time spent on site by 117%. Created and managed social media strategy for Facebook, Twitter, MySpace, and sub-site social network, Homeport. I provide on set D.I.T. and data management solutions for indies, music videos, commercials, and large productions. I'm also available as an editor, colorist, and camera operator/assist/pa/dp, and grip. The Cinefamily is a non-profit 501(c)3 organization of movie lovers devoted to finding and presenting interesting and unusual programs of exceptional, distinctive, weird and wonderful films. The Cinefamily's goal is to foster a spirit of community and a sense of discovery, while reinvigorating the movie-going experience. Like campfires, sporting events and church services, we believe that movies work best as social experiences. They are more meaningful, funnier and scarier when shared with others. Taking tickets at the door, ushering, collecting emails, bar tending, documenting, editing...working at the Cinefamily is always fun and different. I recently helped P.A. a production for Cartoon Network's Adult Swim featuring Adam Scott (Parks & Rec) and Paul Scheer (The League) with Lance Bangs directing. The MRE is a non-profit organization and an "enlightened democracy based in the Eastport neighborhood of Annapolis, Maryland". I contributed video, marketing, and event planning expertise. I directed, produced, and edited Slaughter Across the Water, a documentary about he MRE's annual tug of war. MMFA is a media criticism web site devoted to debunking right wing media misinformation. I shot and edited videos for web distribution including weekly video podcasts, news pieces, and short form documentaries including Sabotage. Group, Inc. is a production company specializing in live events in the Washington, D.C. area. As an Assistant Editor my duties included editing, logging, and DVD production. Produced and oversaw all aspects of WRNR home page, Email database, text messaging service, and all audio and video content. Implemented & produced social media pages and content for Myspace, Facebook, Twitter, and YouTube. YouTube videos reached over 100,000 views after 1 year. Webmastered WRNR home page. According to Alexa.com, in 3 months increased homepage reach by 90%, traffic rank by over 420,000, and page views by 20%. Recruited, trained, and managed part time promotions and production staff. Created and produced multiple times daily on air news & entertainment segment "The Lowdown". Alex and I worked together creatively for over 4 years. Michellle encouraged me to proactively champion new technologies, trends, and web/interactive practices in support of WRNR and Nassau Broadcasting. I worked under Bradley's direction as shooter, editor, and colorist on Media Matters For America productions. FCP7, Adobe Premier, and Avid.